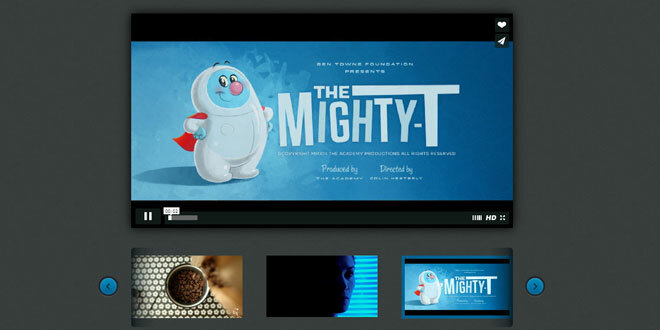 Show videos from Vimeo into a chic gallery with jQuery. Unlike from Youtube, Vimeo does not allow you to create custom playlists to display your videos. Thinking about it I created a plugin that when passing a list of urls videos from Vimeo, you create a carousel with information coming from Vimeo, and videos can be seen through the prominently on the page. Pass a list of videos to date object where 'main' is the main video and 'videos' are the videos that will in carousel.